We’re constantly keeping an eye on your master channel’s listings (by default eBay). Login to KickSync and select which eBay items you’d like to cross-post. Set your prices and get the items listed to Amazon. We’ll make sure you don’t oversell. Quick response to new transactions is how Kicksync works for you. You can only increase your sales, and increase your profit margin. By listing the same inventory across the two largest online marketplaces, it will sell faster and allow you to price to the strongest market. Do I have to change how I list to eBay? Nope, you’re doing great! Continue listing however you currently list, We’ll pull all the relevant data and get it ready to list on Amazon. Can I list to eBay from KickSync? No, we’re not going to make you change how you list. You’ve built an awesome business already! If you want to cross-post to eBay from Amazon, that is coming soon as a new feature. Can I set different prices for different marketplaces? Absolutely. Fine tuning your prices across both marketplaces is the best way to maximize profit on your inventory. Can I still sell with auctions? Yes, but you can only cross-post eBay ‘Buy It Now’ listings. You can have eBay auctions along side your fixed price listings. One or many? How does Kicksync work with quantities? We built KickSync to work just as well for the unique “One-Off” item seller as for the enterprise customer. If you’ve got just one of an item to sell, rest easy, we’ll pull down the listing if it sells. If you have multiples we’ll reduce the quantity on all channels. How does shipping and order fulfillment work? Again, we’re not going to mess with the system you’ve built and have come to depend on. Ship the same way you do it now. Print your labels through eBay and Amazon. Even better, check out one of the aggregate shipping solutions. We highly reccomend the Auctane App on eBay or the web based ShipStation.com. How does KickSync's pricing work? KickSync charges a monthly fee, simply based on how many active synced items you list at any given time. e.g. You could have 400 Items on eBay and sync only 50 and be in our basic subscription plan (up to 50) for $35.00/month. As soon as one items is sold out and unsynced, you can instantly sync another and still be at 50. Also, we’ll let you know when you’ve reached your subscription limit so you can’t go over. Can I also cross-post to my website or other markets? Not at this time. KickSync takes a unique approach to inventory management. We want to allow you to master your inventory in the marketplace that suits you best. To do so, we are focusing on the specific needs of each market’s sellers. eBay and Amazon are our highest priority with a Magento or Woocommerce cart option on our road map. Once I sign up can I cancel at anytime? You can cancel, upgrade or downgrade at any time. There is no contract. We do offer credit for the remainder of the month when upgrading or downgrading. We do not offer partial month refunds for cancelled subscriptions. What if I have more than 1,000 products I want to sync? 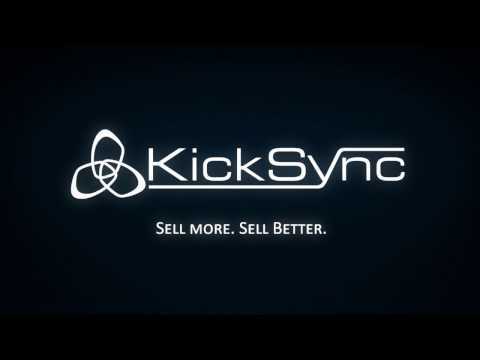 KickSync is focused on allowing sellers of all size to cross-post their items. Please contact us at info@kicksync.com to speak with one of our reps about an enterprise solution. Does KickSync take a percentage of my sales? Absolutely not! You are only charged a low monthly fee based on how many items you chose to sync. Still need an answer? Get in touch. Sign up for our newsletter to receive product updates, seller tips and more. Follow us on our preferred social media. Or email support@kicksync.zendesk.com for product support or more information about how Kicksync works.